At older times, observing a driver leaning over his car to maintain it was something ordinary, but the years passed by and cars cannot be fixed by average people anymore due to their complicated electronic systems. Car locks became complicated, too. Today, the transponder key is a sensitive tiny computer that controls your car from a distance. Automotive Locksmith Gatineau has the capacity, means and knowledge to repair every type of lock regardless of the age of the car and its car locksmith service follows the patterns of modern techniques combined with high tech products. People in Quebec lose their keys all the time and, in this case, contacting our company at once is the best thing you should do. We can reach you fast in order to replace car key and destroyed locks. 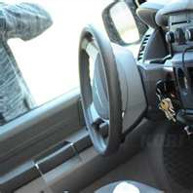 You should also know that your calls are given priority to the offices of Automotive Locksmith Gatineau when there is a child or pet locked in the car. Car thefts have increased all over the country. At the same time, lost ignition keys are also a common problem among drivers. It’s good to take care of your keys as much as possible, but if you lose them or they get stolen, you should call us for an immediate car locks change. Our vans will approach you soon and our experienced professionals will replace the existing lock quickly, so that you can be sure of the security of your vehicle.